--You will be purchasing this listing because you have sent us a file (or files) that need minor editing and/or resizing in order for us to print them properly. We often receive pre-designed files with dimensions, margins and bleeds no suitable for printing. 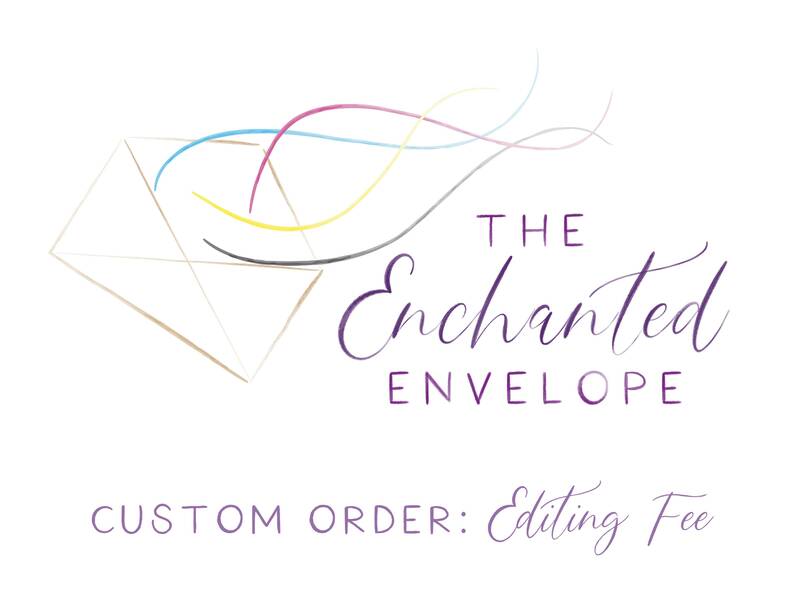 Since we all want your printed items to be beautiful and have everything aligned properly, purchasing this listing will allow us to provide those edits. --Or you will be purchasing this item because you are adding additional text/printing to the inside of cards. --If you have any other questions at all, please send us a message. We'll do our absolute best to work with you and accommodate you.